The book deals with a criminal act committed by the castro regime on July 13, 1994. 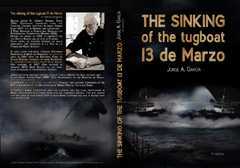 Three government boats attack the tugboat on March 13 and sink it 7 miles from the bay of Havana. 37 people die (of them 10 children) and 31 people survive.